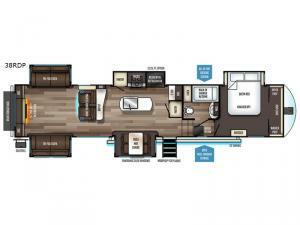 Stop daydreaming and start living in this Sabre with five slides providing plenty of room to move around! Imagine lake views out of the panoramic slide windows while dining at the free standing dinette in the separate kitchen. The chef will have all the appliances needed to make a thanksgiving meal including a residential refrigerator, a buffet, two pantries and a residential farm sink on the kitchen island. You will love your own master bedroom with a large wardrobe including the option to add a washer and dryer, and the full bathroom's walk-in shower including a glass enclosure. 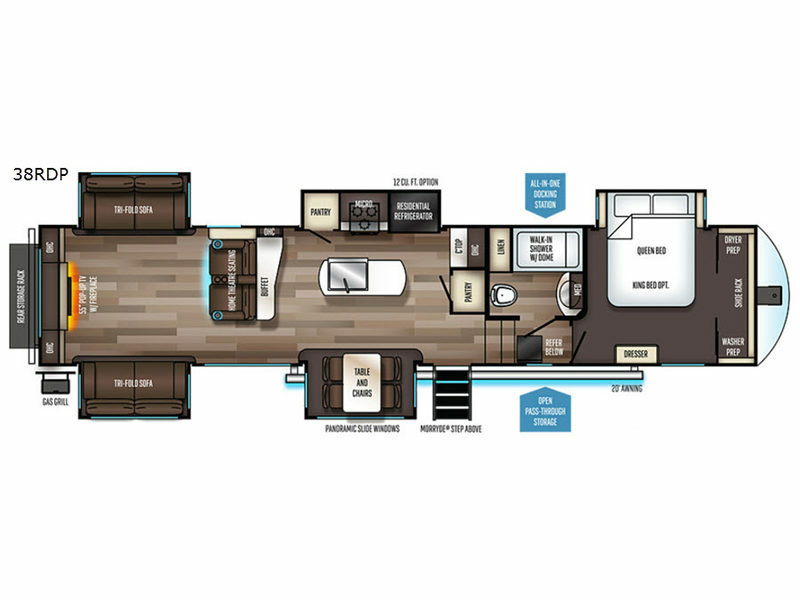 The separate living area offers a place to entertain or relax with two tri-fold sofa slides, a 55" pop-up TV with a fireplace below, theatre seats, and plenty of storage to place your movies, books and such. Take a safe step inside today!